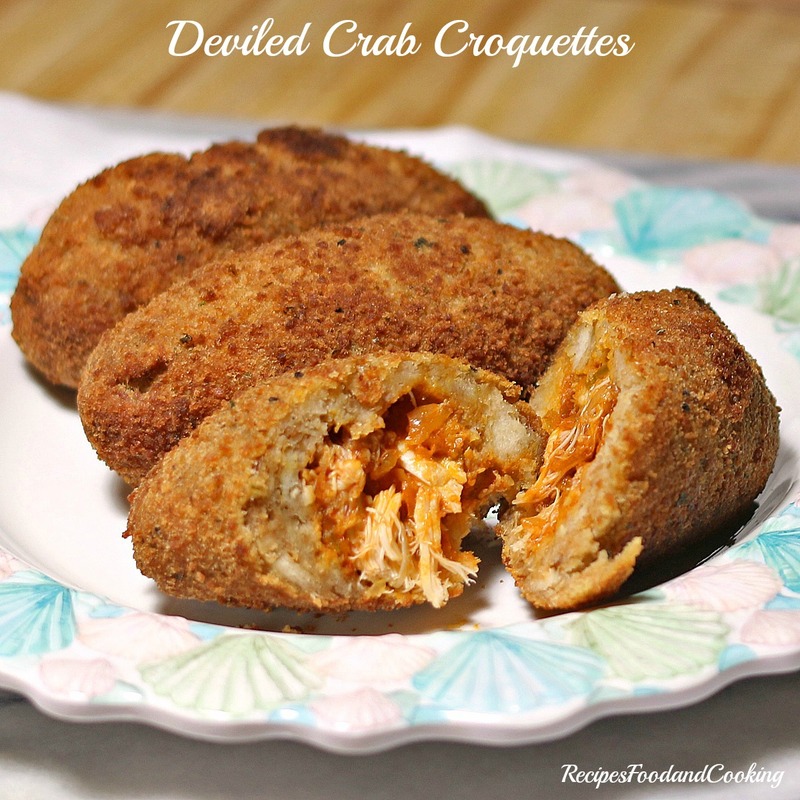 Tired of the same old thing as a side for dinner? I know I am guilty of grabbing that bag of potatoes sometimes to often because I love them so. 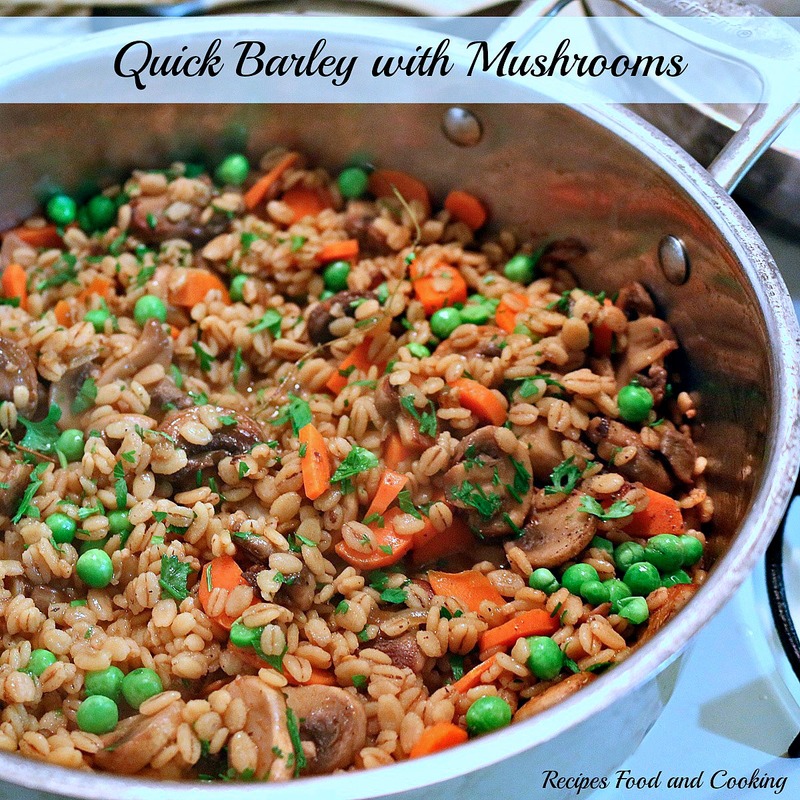 There are so many other options available and I’m sure once you try this simple easy barley side dish you’ll be putting it into your rotation for dinner. My grandmother sometimes added barley to her vegetable soup instead of rice or noodles. 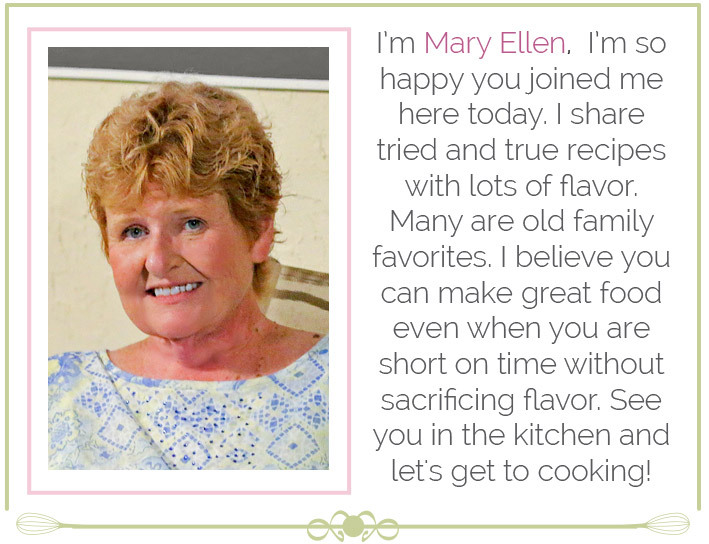 She usually used hulled barley which has a longer cooking time. 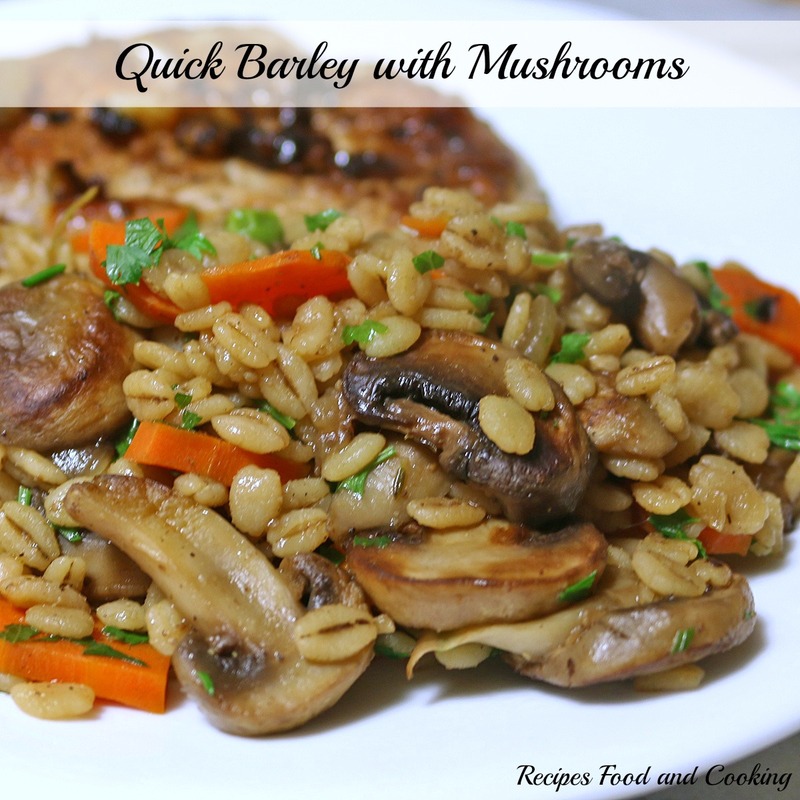 Quick barley is pearl barley that has been pre-steamed so it cooks in 10 – 12 minutes. 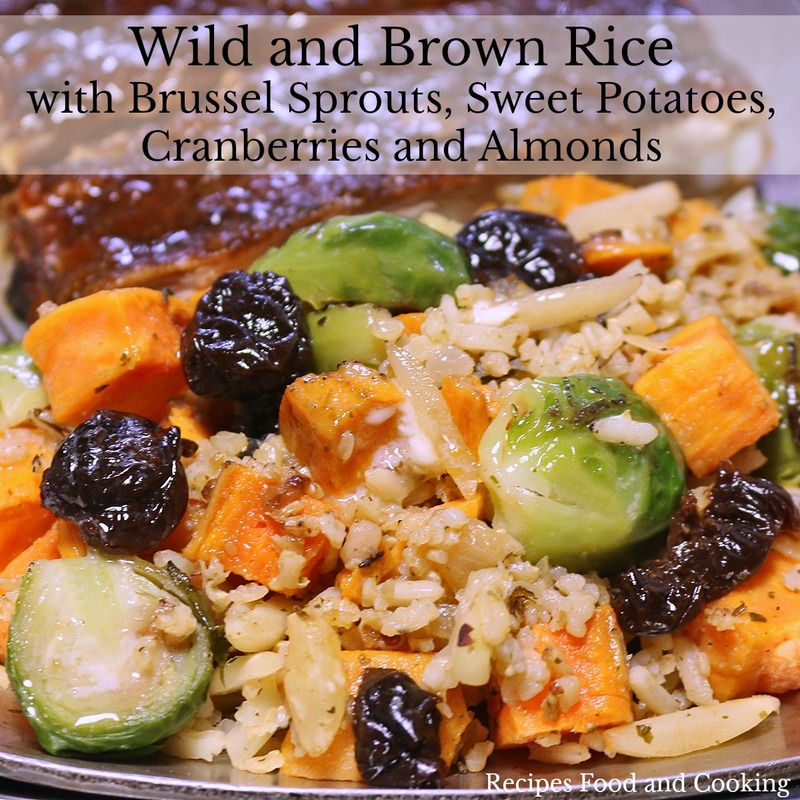 Both are equally nutritious and 1/2 cup of cooked barley has about 3 grams of fiber and 2 grams of protein. 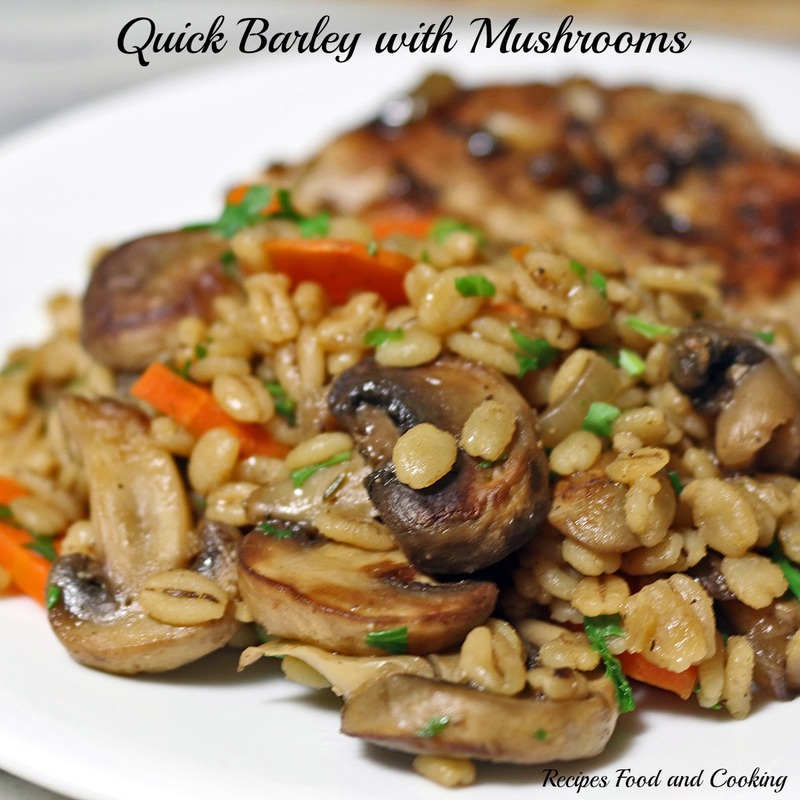 Barley is one of those grains that don’t get enough attention. 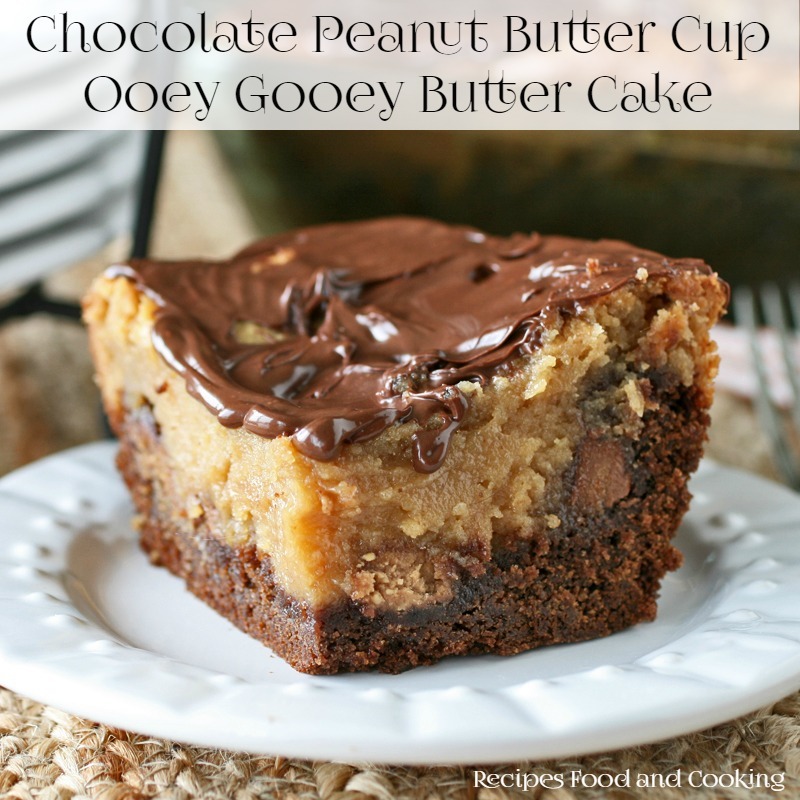 It has a nutty flavor and chewy kind of texture. There are 2 kinds of barley: hulled and pearl. Hulled barley has the tough inedible hull removed but still has the bran and endosperm layer. It is considered to be a whole grain. 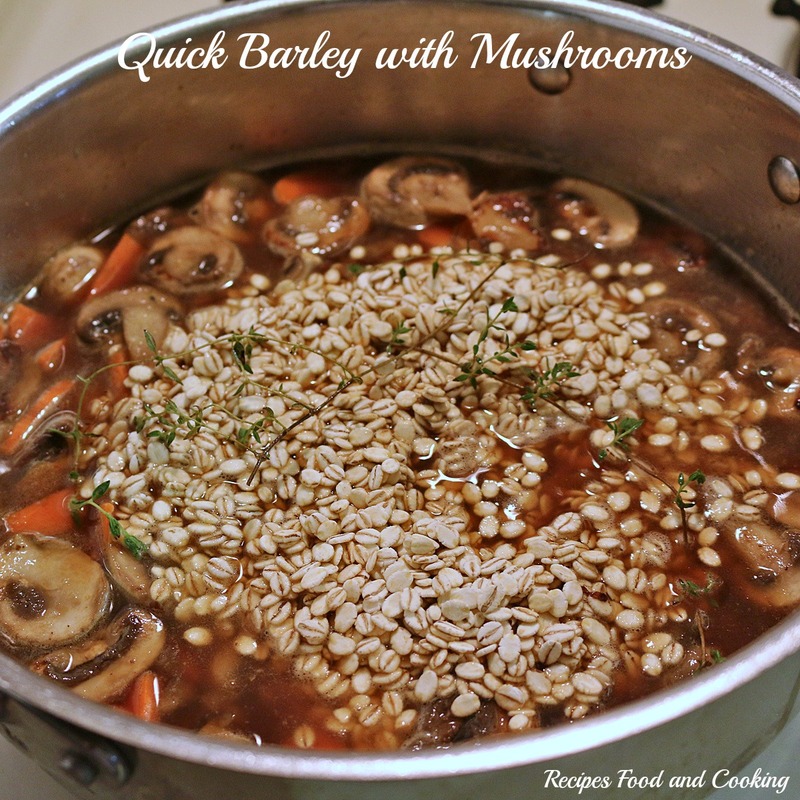 Pearl barley is what we are using here and is most often used in soups and stews. 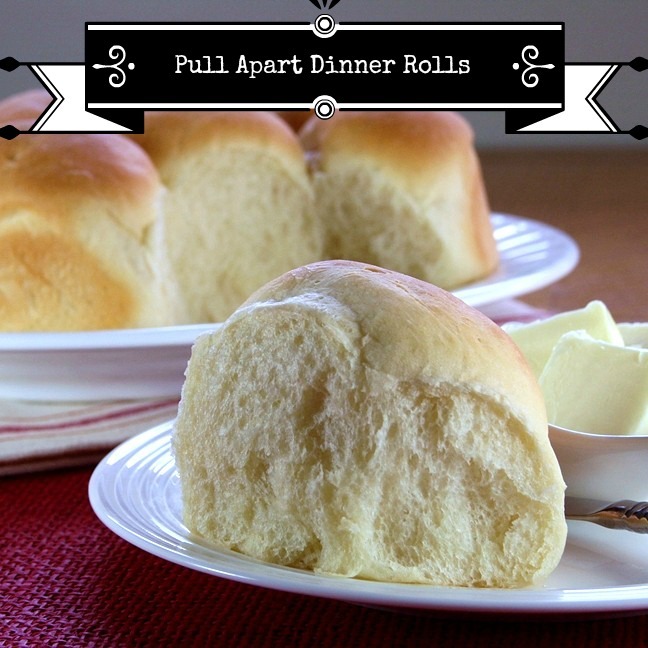 It has been polished to remove the bran and is not considered a whole grain. 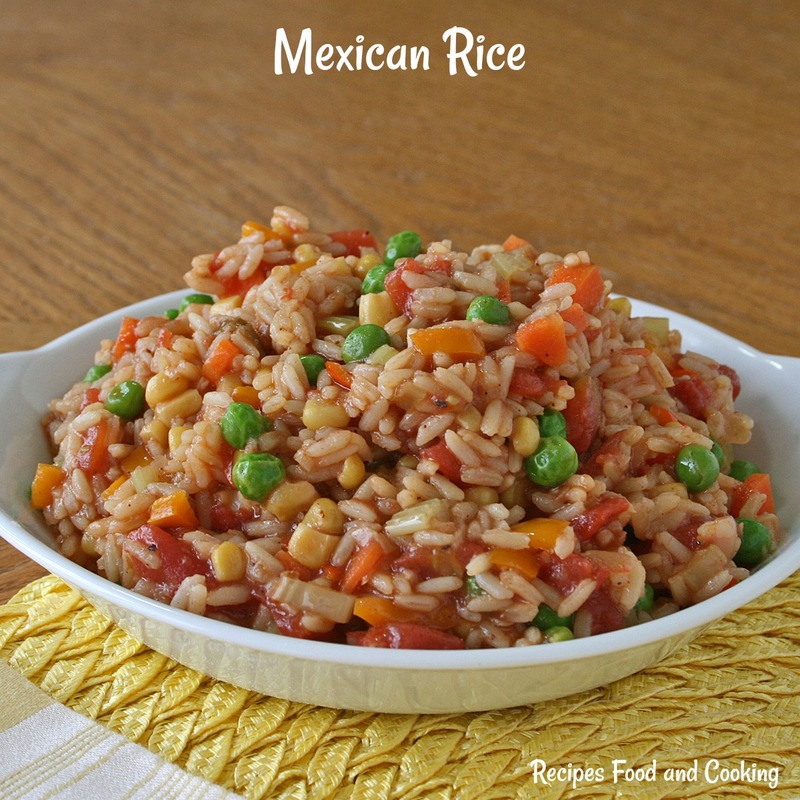 You usually can find barley near the rice section or at a bulk food store which will usually have both types. At the grocery stores I shop at I can only find the quick cooking kind. 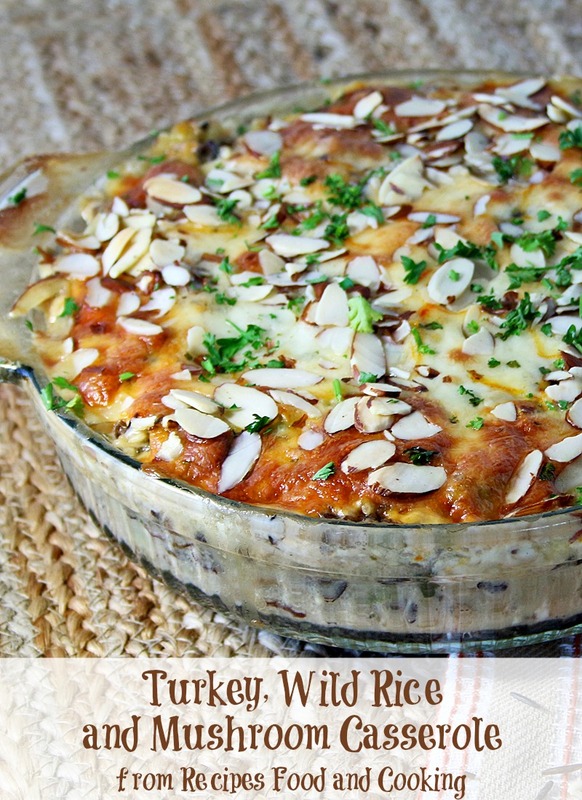 You can add any kind of vegetables you’d like to this dish. I used beef broth to cook mine but chicken or vegetable broth would work equally well. It all depends what you are planning to serve it with. 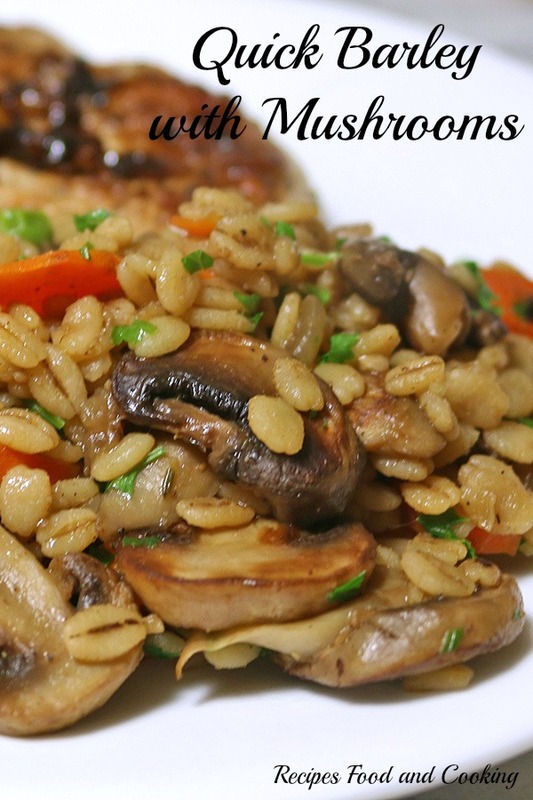 Tender quick cooking barley with mushrooms, onions, carrots and peas make a quick, easy and wholesome side dish. Saute the mushrooms in the oil until browned. Stir in the onions and cook until transparent. Add the carrots, beef broth, salt and pepper. Bring to a boil. Stir in the barley. 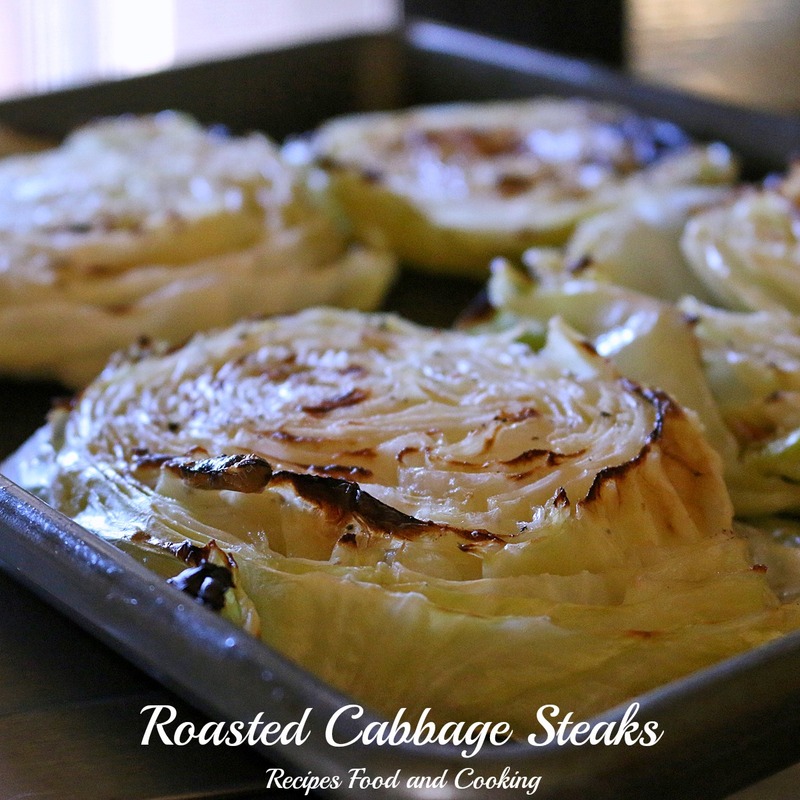 When it begins to simmer, cover the pot and cook for 10 - 12 minutes. Taste to see if barley is cooked. Add peas and parsley. Turn off heat and let set for a few minutes. Fluff barley with a fork.